A liquid fire swept your throat with red-hot blessing; you got summer in your veins. No need to be wistful. Franks hot sauce is the ideal way to indulge in that sense without the health hazard association. Franks hot sauce, or to say for that matter any hot sauce causes throat tingling with the use of capsaicin. Frank’s has an 86 year old history of being popular. The tradition persists. When I was a kid Frank’s hot sauce got me through a myriad of dull meals made by my Irish mother. I’d splash the sauce on just about everything she made. Frank’s red hot Cayenne Pepper Sauce premiered in 1920. Jacob Frank, president and the founder of the Frank Tea and Spice Company, started Franks hot sauce on the banks of the Ohio river. Recognizing that there was more to pepper sauce than simply heat, Frank started to experiment with Louisiana Sunlongs, a superior strain of cayenne pepper. 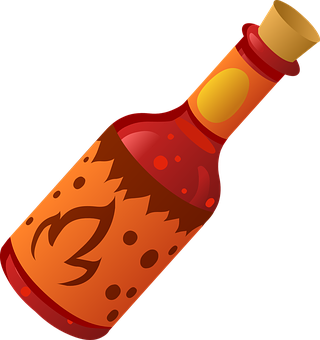 That’s why; Frank’s hot Sauce comprises the dash of a full-bodied cayenne pepper taste with vinegar and garlic. This hot mix is aged to perfection and combined to a thick, syrupy perfection. That is how; your Frank’s Red Hot Sauce is tangy flavored and brilliant red in color. It is also referred to as the key ingredient in the first buffalo wing sauce, invented in 1964 by Teressa Bellissimo in the Anchor Bar and Grill in Buffalo, New York. How did Buffalo Wings begin? Well, Teressa and her husband Frank were about to close up for the evening when a group of the son Dominic’s friends came in for some late night food. Who knew that Wing Sauce would become notorious? Try any of these sauces and you certainly will not be disappointed. It is the ideal way to resist lack of appetite. Try it. You shall win. Everybody has. Frank’s Red-hot Chile n Lime Hot Sauce is a celebration special. The sauce is right for any food but gives mind-boggling taste whenever you’re in the mood to party. Frank’s Red-hot XTRA Hot Cayenne Pepper Sauce is the one for you in case you’ve got the hots for something hot. Delicious on amost any meals.